Development of Wood Plastic Composites and Analysis of Chinese Patent Status ZHANG Jun-hua;FANG Yi-qun;Jiangsu Cartier Wood Industry Co.
Design of Water Rinsing System of Ⅴ-type Filter Pool in Malong County Second Water Plant ZHANG Xian-bin;LI Li;GAO Qing-rong;ZHU Ying-ying;Yunnan Huabo Engineering Design Co. Determination of Methanol in Water by Hand Headspace Gas Chromatography XIE Yi-min;ZHANG Juan;JIA Xin;ZHANG He;LI Xiao-jing;YANG Hui-lin;Ningxia Baota Chemical Center Laboratory Co.
Design of Accident Pool in Petrochemical Plant ZHU Yong-ming;Sinopec Ningbo Engineering Co.
Design of Water Supply and Drainage System in Petrochemical Park TAO Li-yuan;SHEN Hao;Central and Southern China Municipal Engineering Design & Research Institute Co. Determination of Isobutyraldehyde Residues in Fosinopril Sodium by GC Method QIAN Li-hong;XU Qing-yan;LU Chao;Changzhou Pharmaceutical Factory Co. Discussion on Construction Design and Quality Management of Process Pipeline XU Tuo;Shiyuan Technology Engineering Co. 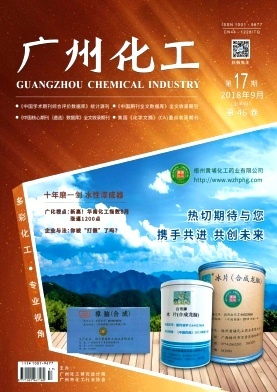 Application and Optimization of Membrane Separation and Deep Refrigeration Separation Combination Recovery Technology in High Density Polyethylene Plant LUO Rui;CHEN Yong-qiang;SINOPEC Shanghai Engineering Co.